OLD data showed the BEST TF from Root, Sub-domain (www), URL and Path. NEW data shows only the Root TF as per advice from Dixon who said that the root domain was the one buyers (hello guys) and sellers (waves) should be concentrating on. The standard deviation gives an indication of the degree of spread of the data around the mean. A high standard deviation suggests that there is a lot of variation in the data. Visually Represented the Trust Flow data looks like this. Visually Represented the Citation Flow data looks like this. Shape of the curves – What does that mean? 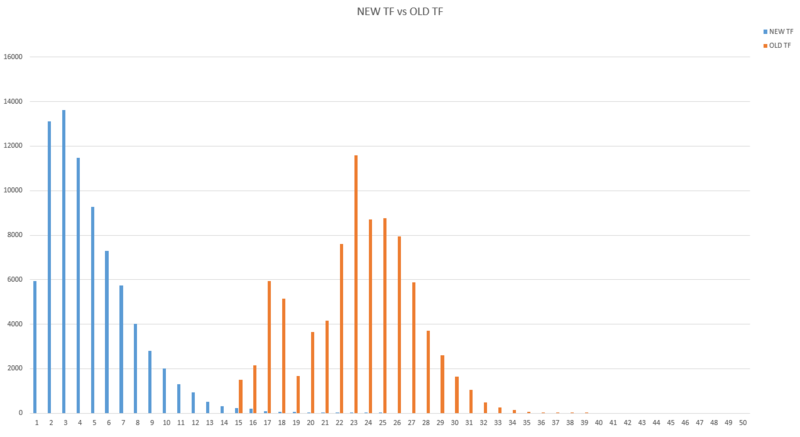 You can clearly see the shape is different, the orange graphs look like a normally distributed bell curve. The blue curve looks similar, but skewed to the left. This is a skewed log-normal distribution. What this means to me is that they have tweaked their algorithm. 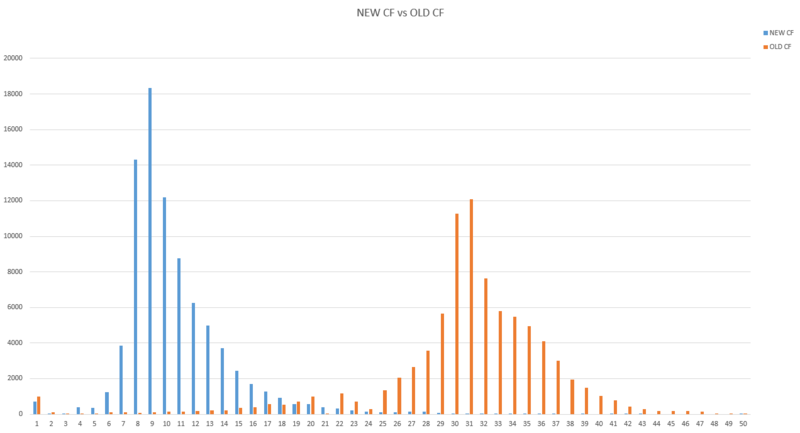 Disregard the talk of the huge amount of sub domains that they removed from their index – if that was the only thing they changed recently the distribution of the TF and CF would have a similar shape, albeit with lower values. I think the algorithm change is that they have added a higher dampening factor across their algo. Before with one strong link you could have a TF of 30. Now I think that they have dampened that significantly, similar to what PageRank did. We've always advocated buying domains based on links – but understand that you need to look at metrics to determine quickly from a large amount of domains what is worth spending the time investigating – and that hasn't changed. The Majestic metric just happens to be the most trusted value out there. A few years ago it was Moz's DA that everyone looked at and I'm sure over the next few months and year we'll see a lot of domain buyers and sellers migrating over to looking at the new TF killer metric that Ahrefs have coming out soon. I'm not an educated man, so there is likely a chance I'm completely wrong – if you can offer a better opinion on what has happened please comment below, and I'll update this post with more information as and when I get it.